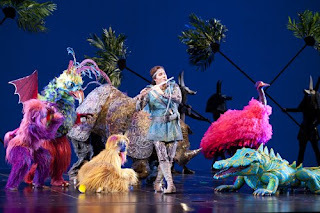 Last week at Seattle Opera’s Annual Meeting, Speight Jenkins announced the winners of the company's 2010/2011 Artists of the Year awards: soprano Aleksandra Kurzak and costume designer Zandra Rhodes. Both of these artists made their Seattle Opera debuts last season, and both made memorable impacts on their respective productions. 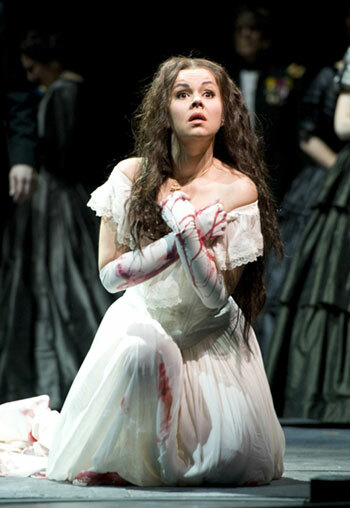 Said Jenkins: "Aleksandra Kurzak gave us one of the great Lucias of my life, vocally and dramatically. She suggested Lucia's condition and both acted and sang her madness with unforgettable panache." 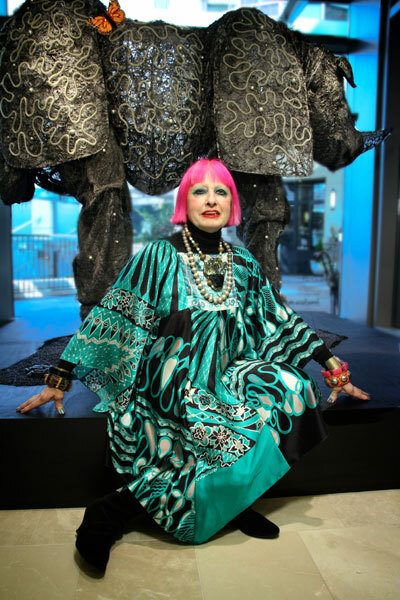 Our other Artist of the Year recipient, Zandra Rhodes (pictured here at Neiman Marcus in Bellevue; photo by Alan Alabastro), made her company debut as costume designer for the season-closing production of The Magic Flute in May. Rhodes is a noted fashion designer whose creations have been flaunted by royalty, Hollywood celebrities, and Vogue, and who only recently began designing for the stage. Her incomparable style, which makes use of vivid colors and textures, has been stunningly upheld in her transition from couture to costumes. "[She] opened her imagination to create the most extraordinarily fanciful costumes for The Magic Flute," said Jenkins. "Their greatest virtue was that no matter how exotic or colorful, they never overwhelmed the musical and dramatic realization of the different characters." Just a few of Zandra Rhodes' costumes for The Magic Flute. (Pictured center: John Tessier as Tamino.) For more photos, visit the production and costume photo albums on our Facebook page. In 1991, Seattle Opera's Artist of the Year award was created to honor the individual singer, conductor, director, or designer who had made the most significant contribution to the success of the season. At the conclusion of the 2003/04 season, Seattle Opera began honoring two Artists of the Year for each season: one a conductor, director, or designer; the other a singer. Participating in the selection process of Seattle Opera's Artists of the Year are members of Seattle Opera‟s Board of Trustees, Diamond Level and Platinum Circle donors, and staff, as well as selected members of the local press. This is the company‟s twenty-first annual selection of Artist of the Year. I thought Harolyn Blackwell was a fabulous Lucia, but I was blown away by Ms. Kurzak. Well deserved!